Aluminum Truss exhibits for LCD and TV Stands. 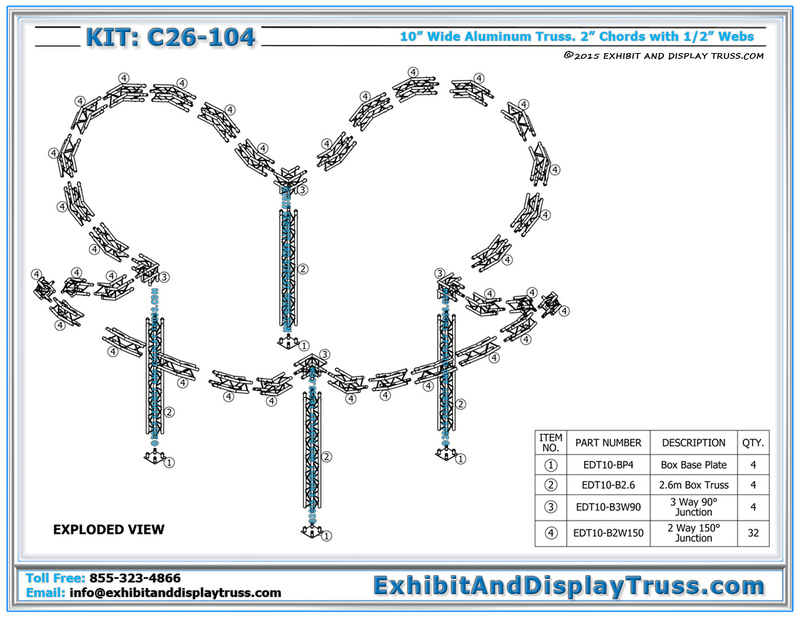 Truss Display Kit C26-104. 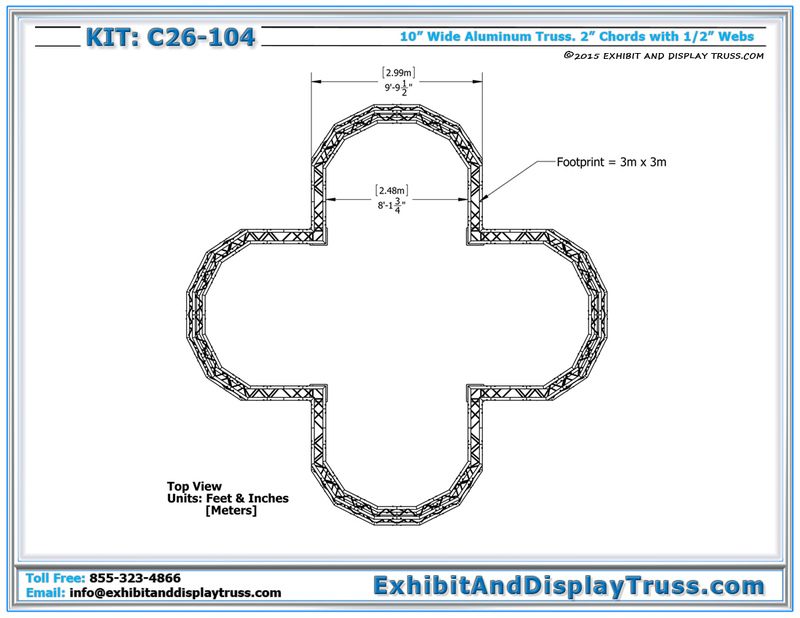 This truss booth display fits a 20′ x 20′ trade show booth area. 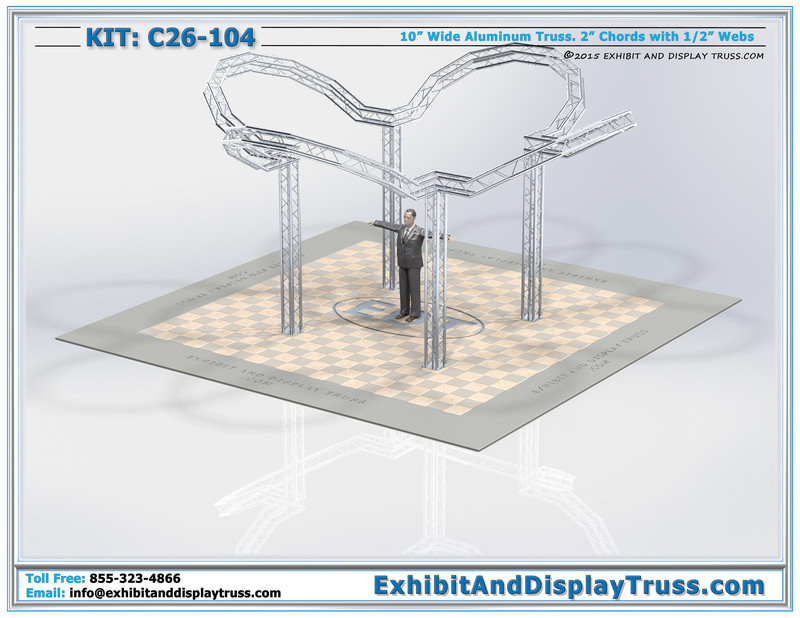 The C26-104 exhibit booth has truss arches that easily display towards potential clients and passersby. The C26-104 kit is so exciting visually itself, it is sure to stop anyone walking by. This design is one of the best exhibits we have seen at any trade fair exhibition, originally designed for the International Beauty Show in New York. 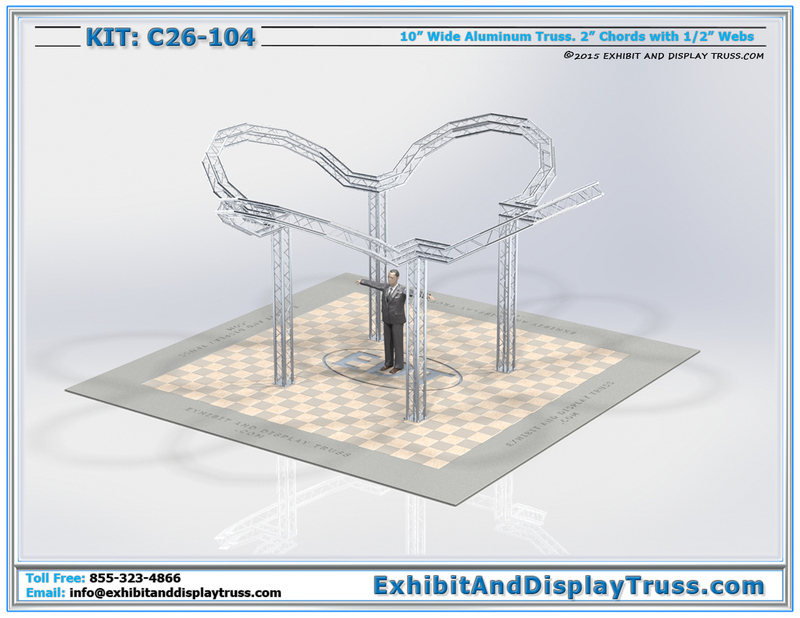 Like all of our exhibit truss systems, this exhibit design is lightweight and durable. This keeps the cost low while providing a large visually appealing booth that covers a large trade show area. 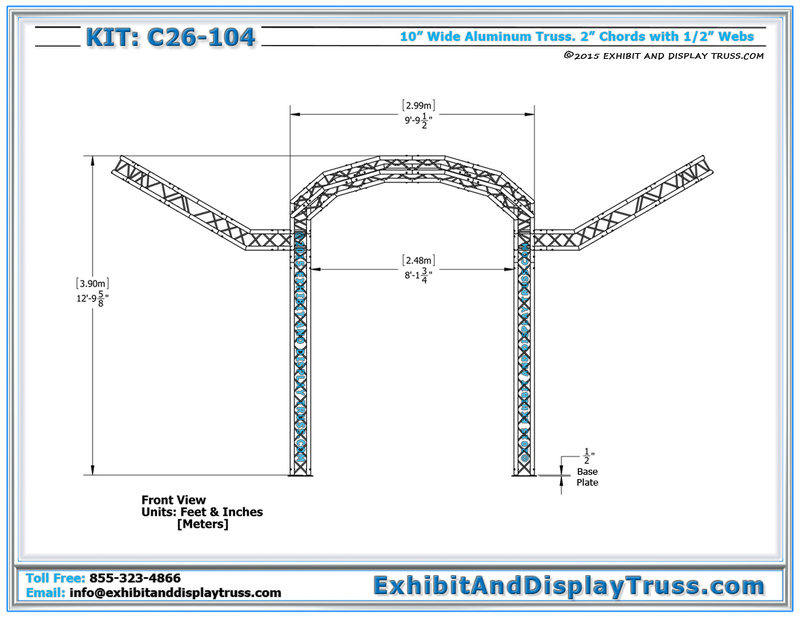 Exhibit and Display Truss offers a wide variety of truss parts and truss products. We stock standard parts and truss kits and also has the ability to build custom parts and booths if your project requires unique configurations. If you cant find what you are looking for out of our standard systems or parts, do not hesitate to ask for a custom truss fabrication of a trade show truss booth. Truss components are constructed of square, triangular or flat pieces. All of our truss structures are designed for ease of assembly and available in a number of designs and sizes. Our truss systems are constructed of durable, high-strength aluminum and steel for supporting LCD or plasma screen mounts, banner frames and sign frames, lighting truss and other accessories.